The biobased economy is a practical matter: the efficient production of chemicals and materials from agricultural products and agricultural waste. But there is a lot of movement at the scientific rims of biotechnology as well: researchers try to get a better understanding of processes in living nature. 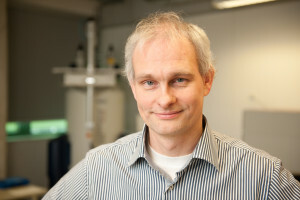 Jan van Hest, professor at Radboud University Nijmegen gives some insight in bioorganic chemistry. Synthetic biology used to be called gene technology; this scientific branch works top-down from the cell. Chemical biology on the other hand works bottom-up from the molecule. Both research areas gradually develop common ground and in some instances overlap already. Synthetic biology tries to remove (for certain goals) ‘useless’ properties from the cell, and tries to establish what the cell basically needs to keep on going. In fact, in this way researchers try to construct synthetic life; they do so by keeping intact as much as possible the ‘hardware’ of the cell, and supply it with new ‘software’ by disabling some genes and introducing others. 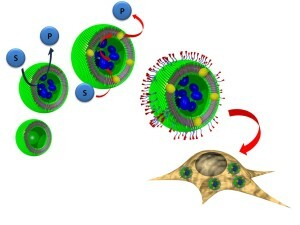 And then research what that cell can still do, and if it performs the tasks envisaged by us. Schematic representation of different levels of research into processes in living cells.